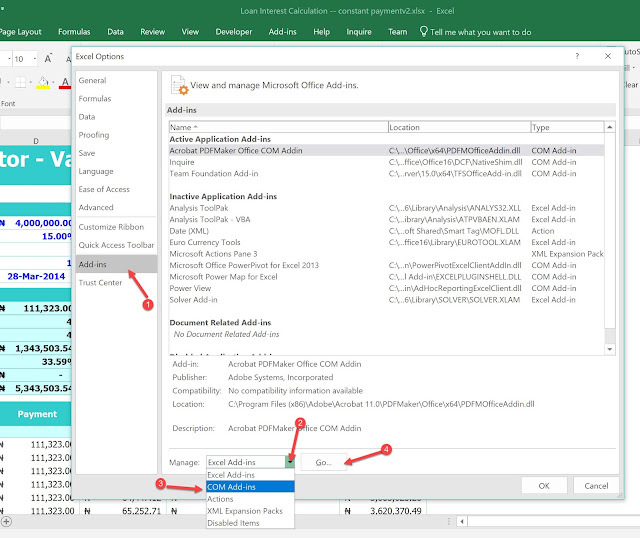 Ever suspected someone has changed your file or report in Excel or edited places you didn't want them touching? 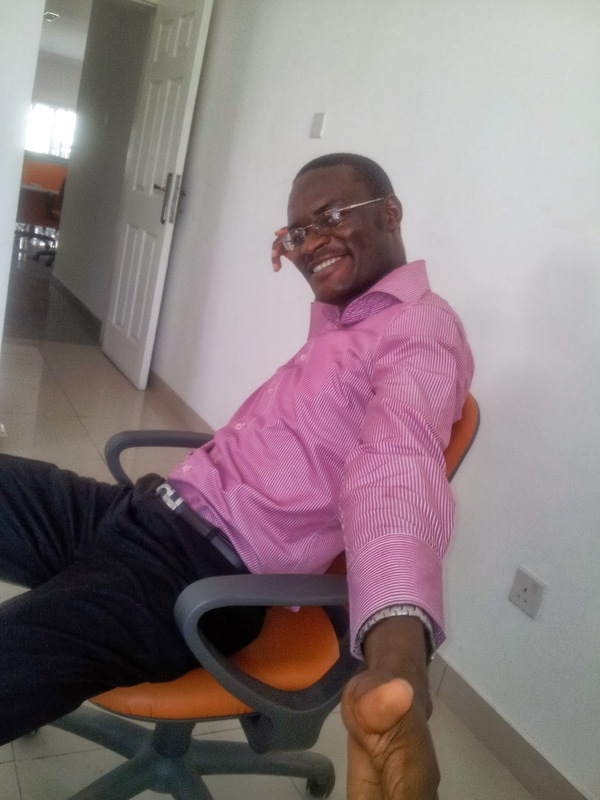 Or it is that you have two different files that should have some similarities and you want to know where the difference lie. 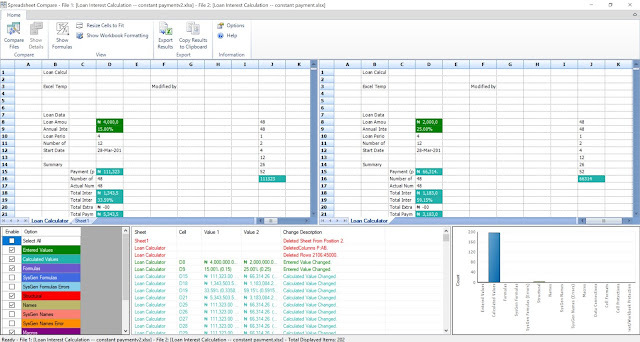 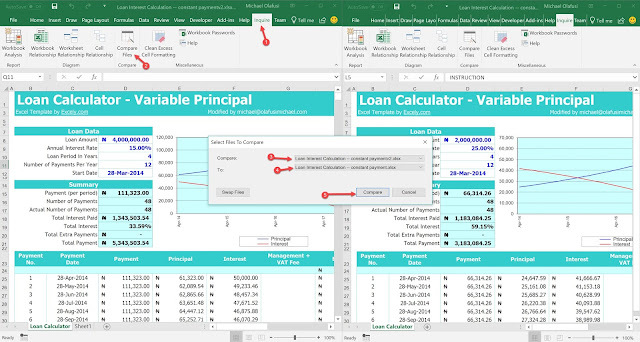 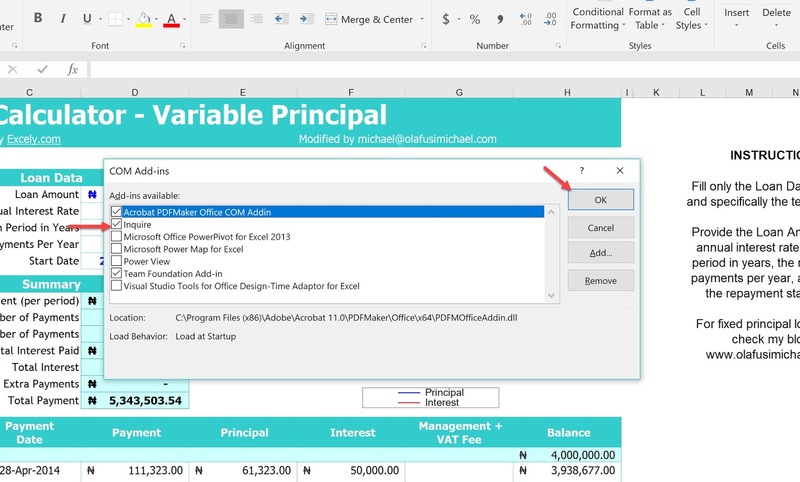 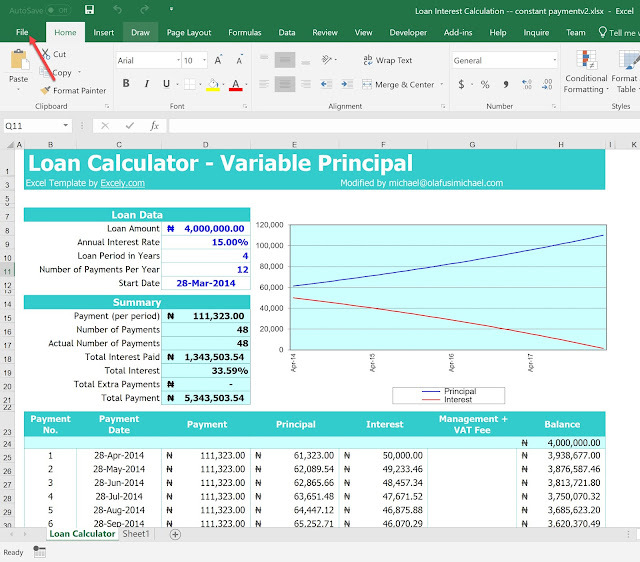 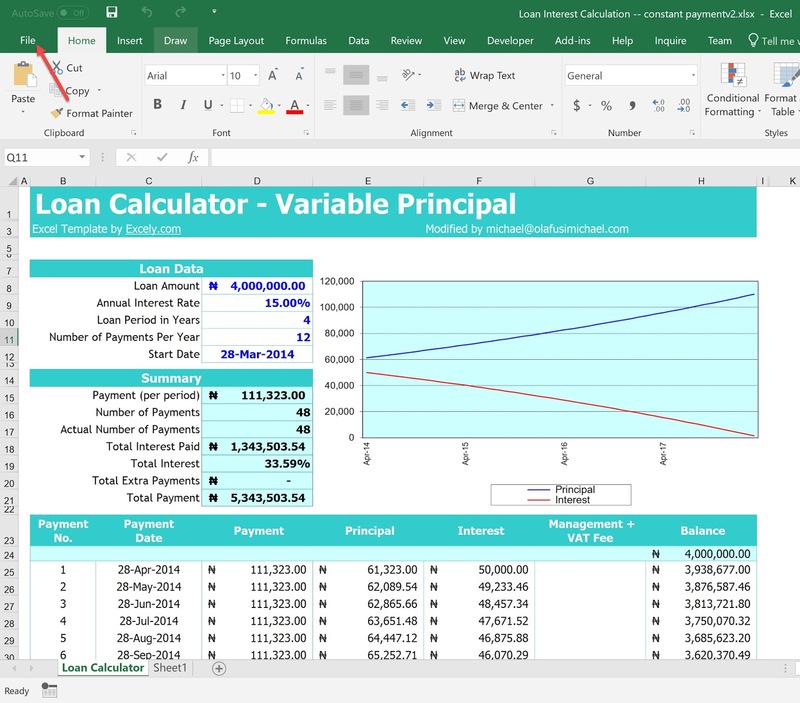 If you use Excel 2013 or Excel 2016 professional plus, then you should start celebrating. Microsoft has included a very helpful tool called Inquire that does that comparison of files for you on any level of detail you want. Below is an illustration of me using it to compare two different version of same loan repayment computation file. See how easy it is to use. 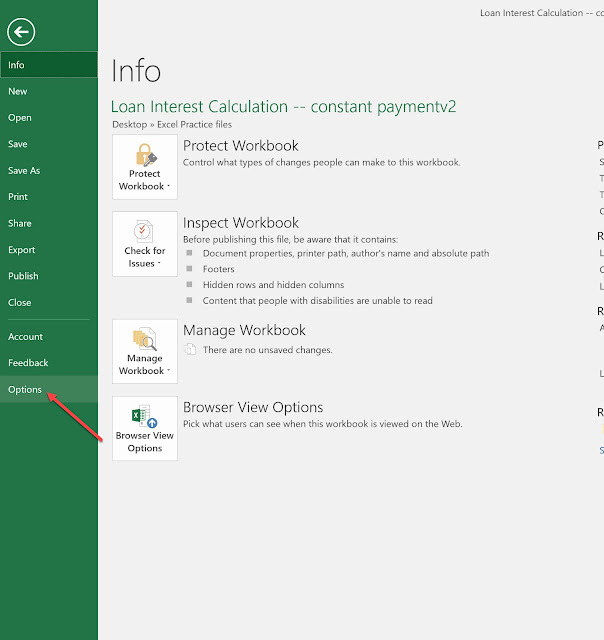 (You'll first have to enable it, then use).